With the Olympics season ending with a positive note for Malaysia, the Paralympics have now come to take the stage at Rio De Janiero where our national athletes have gone to fight for the Gold medal dream of our country. Only 5 days left till the curtain closes for this prestigious event and our athletes have already made an astounding achievement by winning not only one but three Gold medals so far! They have also made history for Malaysia’s achievements in the Paralympics as we have previously only gotten a bronze medal in the 1988 and 2008 Paralympics, a silver medal and two bronze medals in the 1992 Paralympics, and one silver and one bronze for the 2012 Paralympics. But the beginnings of our Gold medalists were not one of ease and glamour. The three Paralympic athletes thrived hard and overcame their disabilities to show that such obstacles should not hinder them from greatness. Being only 19-years-old, the Perlis-born athlete has already made headlines by breaking the long jump T20 (learning disability) category record with a 7.60m jump in his fifth attempt. The previous world record of 7.25 metres was held by Spain’s Jose Antonio in the 2012 London Paralympics which Latif broke on his second jump, with a distance of 7.47 metres. “Just to put Latif’s paralympic world record into context… The able-bodied Malaysian national long jump record is 7.88 metres. Wow,” said Khairy Jamaluddin, Minister of Youth and Sports in a tweet. The public has already fallen in love with him with the hashtag ‘#terbanglatifterbang’ bombarding social media as the love for him spread like wildfire but how did this boy initially receive the wings used for his jumps? The young lad was originally inspired by his family, especially his siblings. 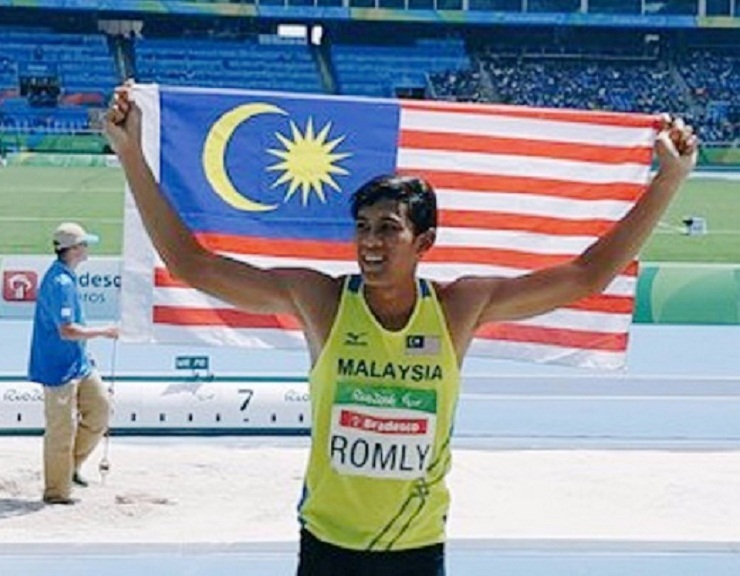 Being involved with sports at the early age of six, he used to follow his older sister, Siti Aminah Romly to her school and jog with her as well as attempting to do jumps while he watched her train for her high jumps. Latif also used to dabble in football with his older brother, Mohd Hafidz who now plays as a goalkeeper for DRB Hicom FC in the M-League. “He loves to match my goalkeeping ability. He will be the goalkeeper for the opposing team and he plays well. Once, he returned with bruises and my mother told him not to play football anymore,” said Hafidz. His parents have always been supportive of him with his passion for sports. His mother, Salmah Yatim, shared that initially she wished for him to do well with his studies but she understood his struggles surviving in school due to his disability so to compensate, she allowed him to indulge in sports since he was particularly good and fascinated by it. His mother also mentioned how he was an all-rounder and that she would attend his annual sports day events at his school to support him in every competition he participated in. She mentioned how he didn’t just focus on long jump and that he tried a lot of others and has won countless medals for it. 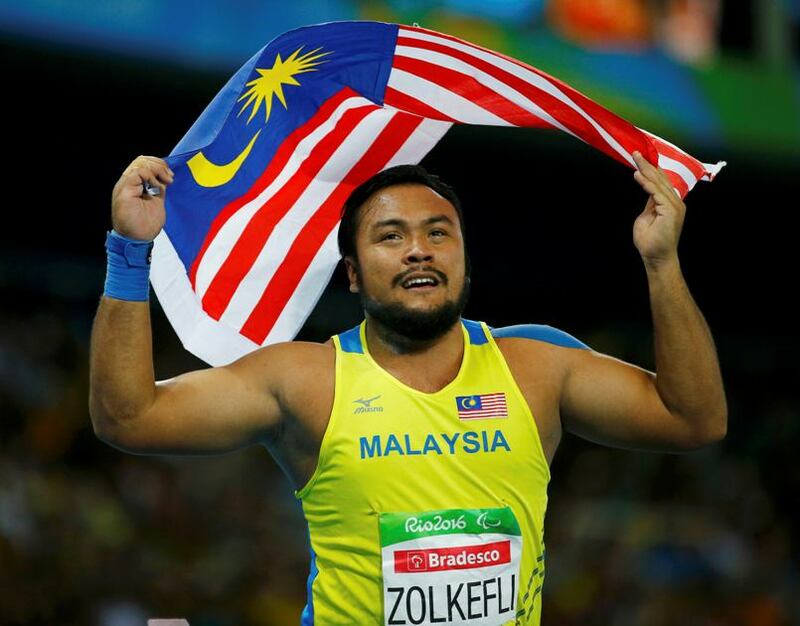 Another world record broken and a gold medal gained by 26-year old, Muhammad Ziyad, for the men’s shot put F20 (intellectual disability) event with a throw of 16.84 metres in his fifth attempt at the Rio Paralympics 2016. Ziyad suffered intellectual impairment which was only identified when he was 10. He spent his schooling years in a regular school until the age of 12 and was introduced to the sport in 2008 when it was a compulsory school activity. Before he joined the National Sports Council, after his SPM studies, Ziyad was selling kueh teow in Jalan Tunku Abdul Rahman. “Ziyad did not give up easily and was always working hard ever since he was in school. Ziyad is not afraid of hard work for when he was in Sekolah Menengah Teknik Tanah Merah in Kelantan, he built houses during his school holidays,” said Zolkefli, his father. He made his debut in the 2012 London Paralympics where he won the bronze medal. A year later, he managed to get the gold medal in the men’s F20 category at the World Athletics Championships and was awarded the National Paralympic Sports award. He received another gold medal at the Asian Para Games held in 2014. And now he adds to his collection his first Paralympic Gold medal which he dedicated to his father’s 62nd birthday. His achievements have placed his name high on the list of Paralympic athletes to watch out for but he remains grounded as ever and ensures his family is prioritised before anything. After winning the IPC Athletics World Championships in Lyon, he used that money to build his parents a home behind the hospital quarters they had been living in for years. The first Paralympic Gold medal Malaysia has ever received was won by 29-year old Mohamad Ridzuan for the men’s 100m T36 (Cerebral Palsy) event with a time of 12.07, beating the previous Paralympic record set by Ukraine’s Roman Pavlyk of 12.25 at the 2008 Beijing Paralympics. Having suffered from cerebral palsy since the age of one, Ridzuan did not allow this to hinder him from his passion for running. He continued his hard efforts and allowed his talent to do the speaking for him which in return gave him the nickname “Mr.Dash” by the adoring public. Hailing all the way from Perlis, Ridzuan began his exploration into the sport during an inter-school competition in 2004. It was that year itself that his talent was recognised by a voluntary coach, Affizam Amdan, who saw Ridzuan’s potential immediately and offered his guidance from 2006 until today. Ridzuan first made his debut as a professional athlete in the ASEAN Para Games that was held in Solo, Indonesia back in 2011. He then went on to greater achievements as he won the National Paralympic Athlete award after his achievement of a gold medal at the World Athletics Championship IPC in Doha, Qatar where he set his best record of 12.01. This allowed him to hold the world’s number one ranking for the 100m T36 sprint event. He also managed to receive a gold medal for the ASEAN Para Games (APG) in Singapore for the 100m and 200m T36 events as well. Currently being trained under Paralympics coach, R. Jeganathan, the future for Ridzuan is still bright and his parents are very pleased with his achievements. “I am pleased that he is now independent. Before this, I was always worried about his fate when my wife and I are not around. But the blessings of Allah was the best for him though I will continue to support and pray for his success,” said his father. As though fate was on our side, our Paralympic athletes’ achievements could not make us feel more proud of our country with Malaysia Day approaching soon enough. The hard work and effort they put in despite their physical or mental challenges caused by unforeseen circumstances did little to diminish their patriotic spirit and they have gone on to even break world records while holding their gold medals with pride. 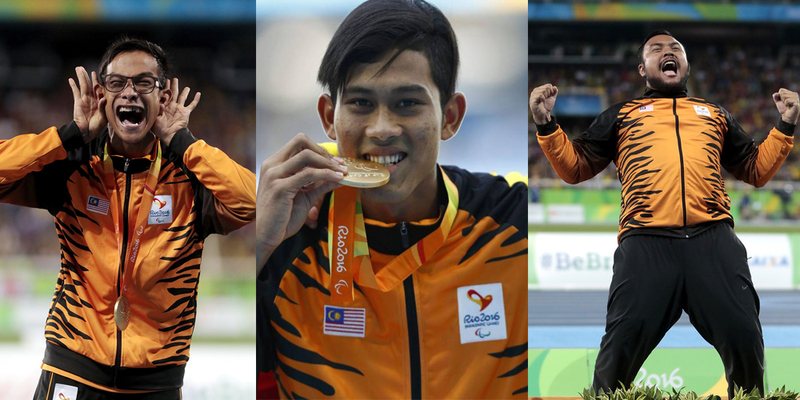 Congratulations to our Paralympic gold medalists for their outstanding performances!